The mug emanates luxurious quality and design; with the soft and tactile thrown lines and fine rim. A luxurious feel only possible with hand thrown porcelain. 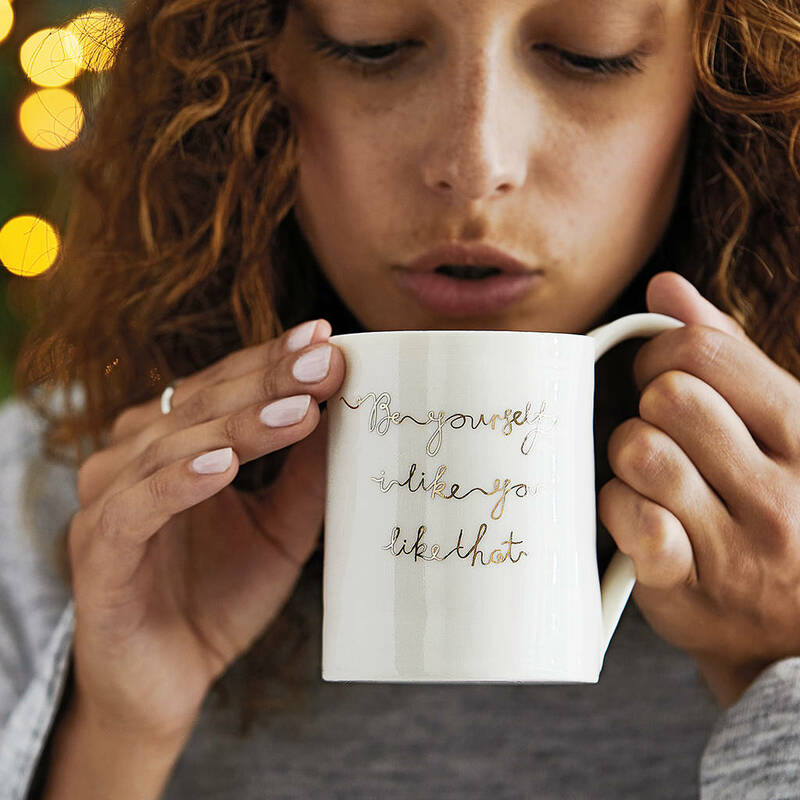 The emotive message is screen printed in handscribed real gold before being applied to each mug individually by hand in the Surrey studio. 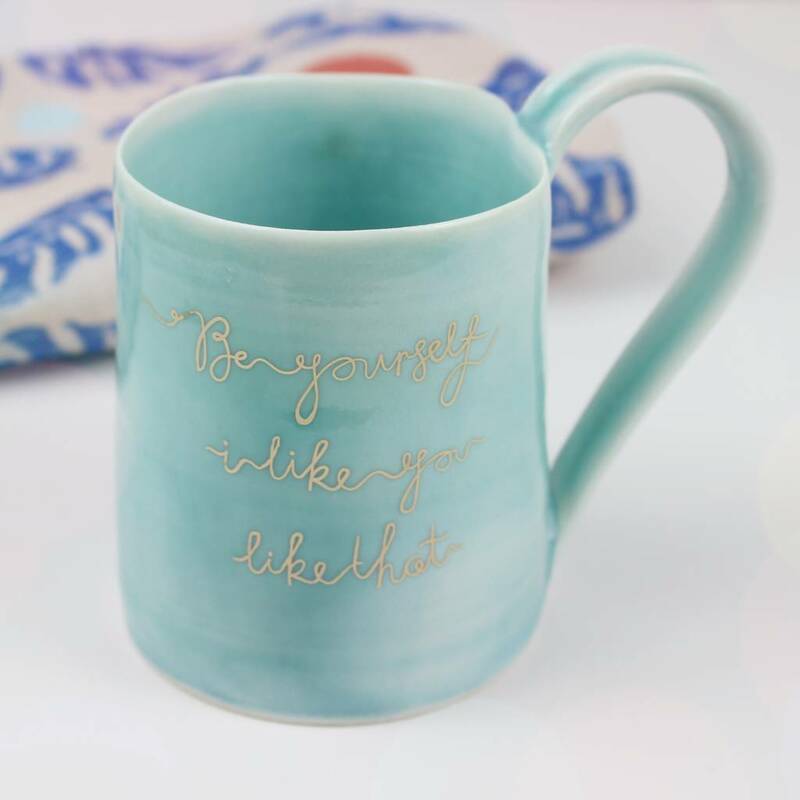 Available in the satin cream or shiny turquoise glaze finishes. 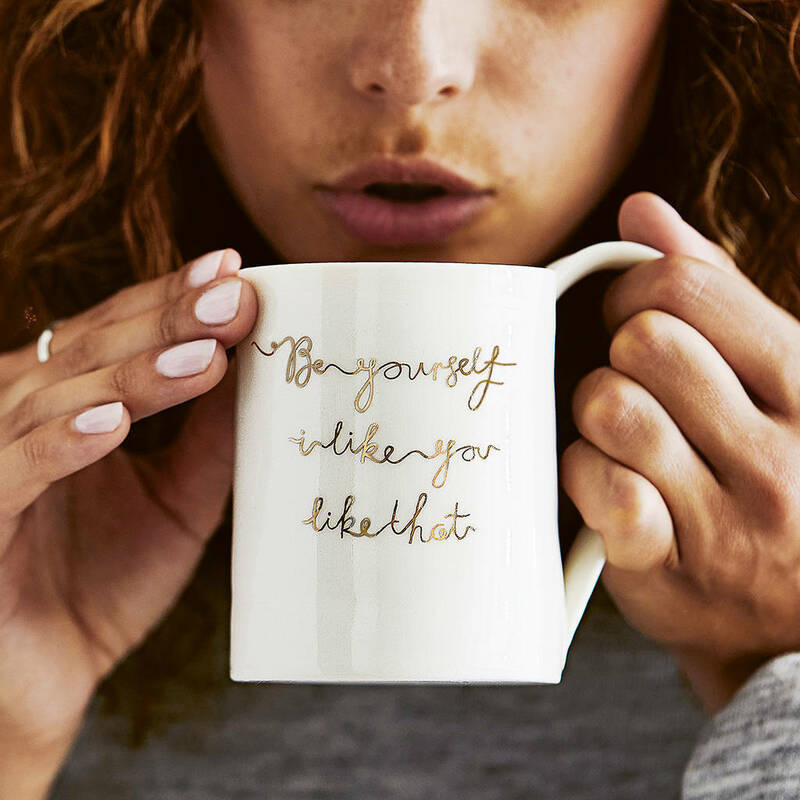 Part of the positive message mug range, that includes: 'Strength', 'Love' and 'Magic is Something You Make' hand thrown porcelain mugs. 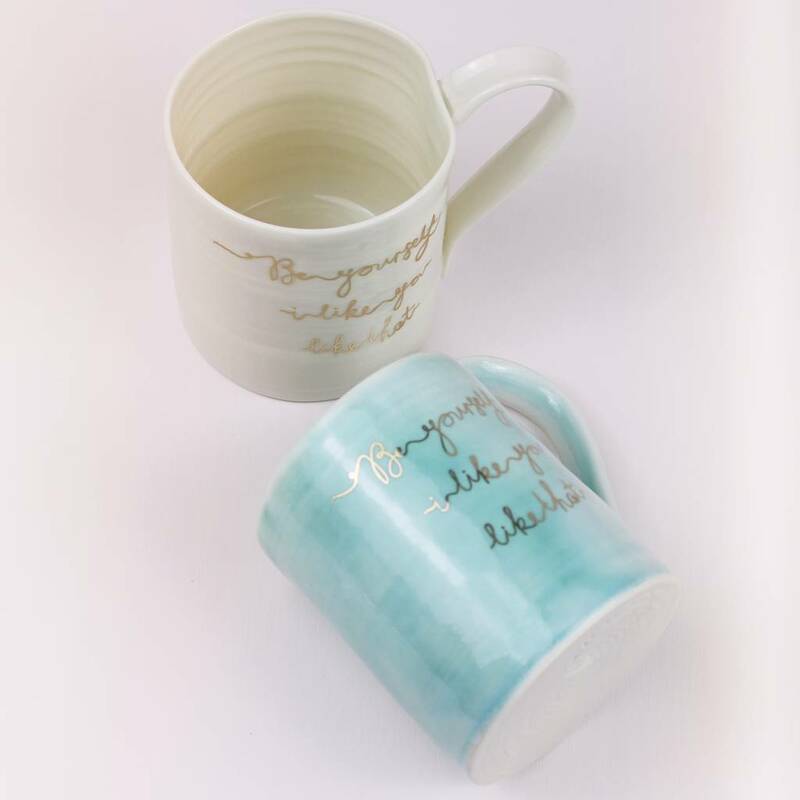 Hand made in the finest porcelain, glazed in satin cream or shiny turquoise glaze with screen printed gold lettering in a handscribed font. High fired to ensure each piece is dishwasher friendly. 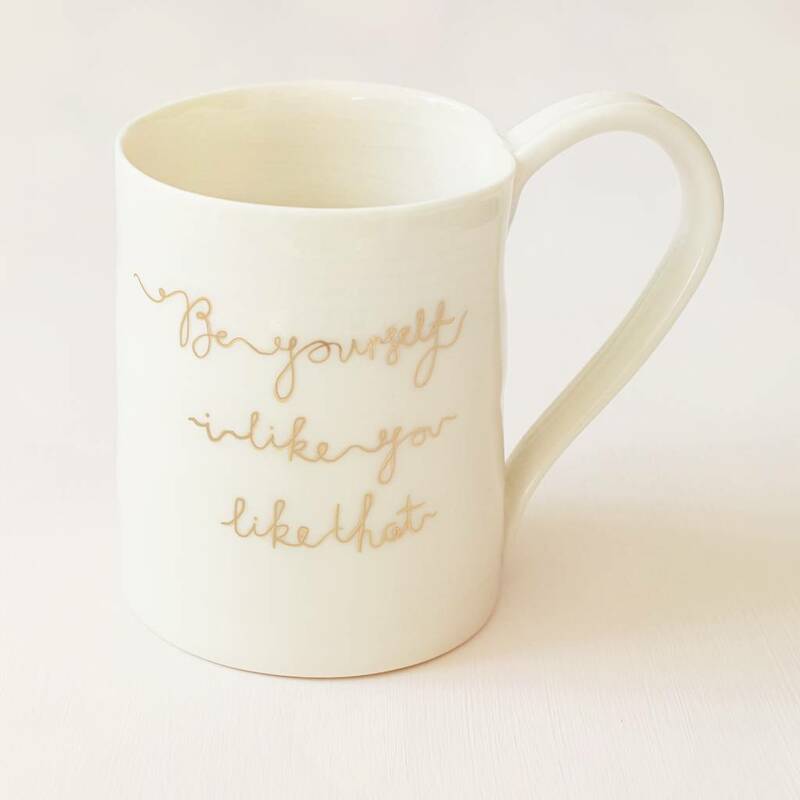 This product is dispatched to you by Gemma Wightman Ceramics.